Our second session was very different to the first. For a start we only had a tiny room. Also the session started with only about 10 people and ended with 25. It was great to have such a large group but frustrating that many turned up late. For out first activity we drew a “river of business.” This was to symbolise our journey together – from the source where we have nothing but a desire to start a business to the lake when we have funding. The river we drew meandered at the start and was often flowing away from the lake to represent difficulties and false starts and then smoothed out and widened as it approached the lake. In groups they brainstormed on post-its different stages and events on this journey and then we came back and group by group they placed these post-its on the river and explained why they put them there. We planned this activity as a nice easy introduction to get things moving but it was surprising how much we learnt from it. In particular, most groups put idea followed by funding. Then came market research and competition and failure. This was enlightening because it shows where we can offer real value. In Kenya it seems many people start businesses without really thinking about their market or their potential customers. To highlight this we met one woman who recently opened a shop selling stationary in the middle of a field. Unsurprisingly, she hadn’t had many customers yet but she was convinced that things would pick up — we’re not so sure. Much of our course is focused on customer development and market testing so we will challenge this approach. Next we moved onto an activity where they think about their assets, skills and abilities and try and represent these visually. This is a really important task because often people focus on what they don’t have or what they need. But by starting with assets we want the groups to focus on what they have and show them that as a team they have the skills to achieve great things. Most of the groups actually struggled at this task – maybe they were shy or embarrassed to talk about their strengths. But this activity is on-going and we will come back to it over the course to try and document more assets and more talents. Finally we moved onto an activity called the marshmallow challenge where groups build a tower out of spaghetti, string and masking tape that holds a marshmallow at the top (see photos below). It’s a really fun game but also has an important meaning. We wanted to emphasise the importance of learning through doing and not being scared of failing as long as one learns. In business this is crucial because there will be lots of false starts and things might not turn out as expected but its important not to give up. As long as you fail fast and fail early and learn from it then you’re likely to have a stronger business at the end. 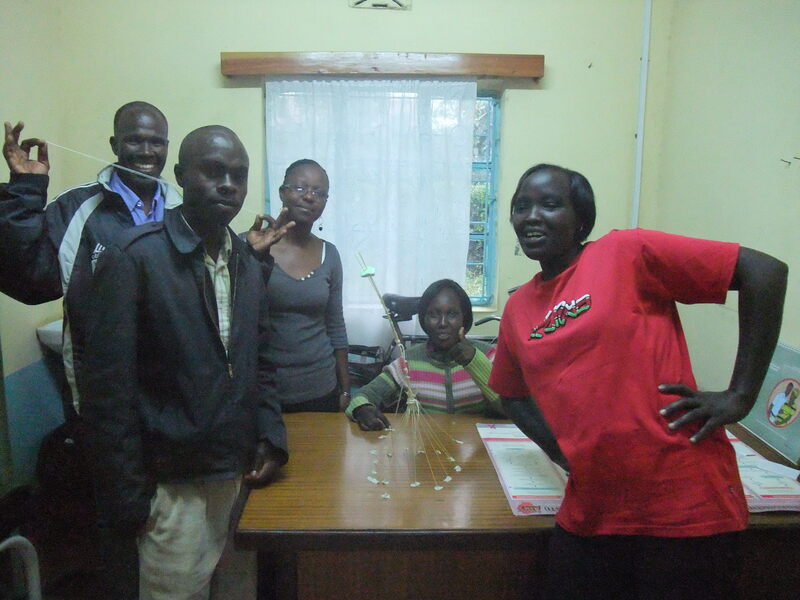 The task concluded with a great discussion and 3 out of 4 of the groups managed to build impressive towers. Interestingly, at the start of this session the group was a bit bemused by what we were doing. 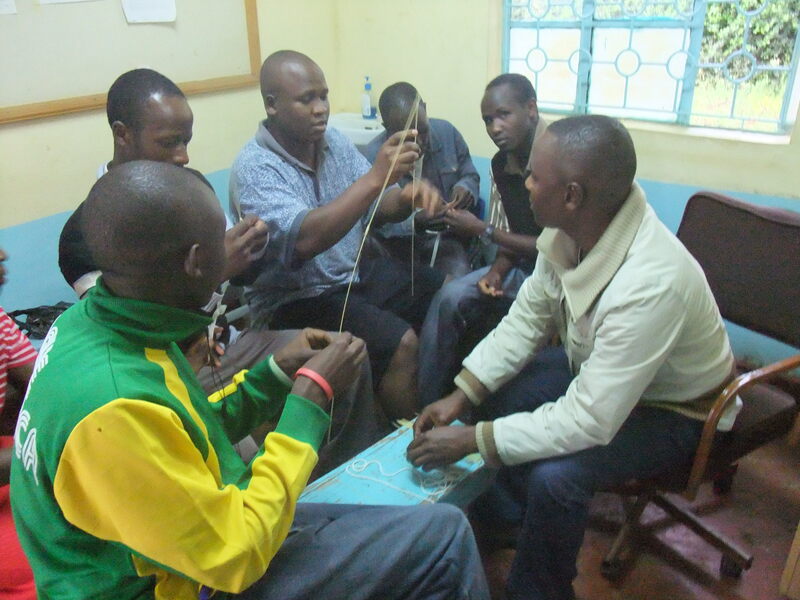 In Kenya classes normally involve someone lecturing while the students take notes. So a session involving drawing rivers and assets and building spaghetti towers was hugely different to anything they would have come across before. But they seemed to really enjoy themselves and in contrast to the start of the session where most people were quiet, by the end they were calling out and debating between themselves. Hey, a very interesting read, good blogs – impressive! I like the bullfight idea, had no idea that happened in Kenya.